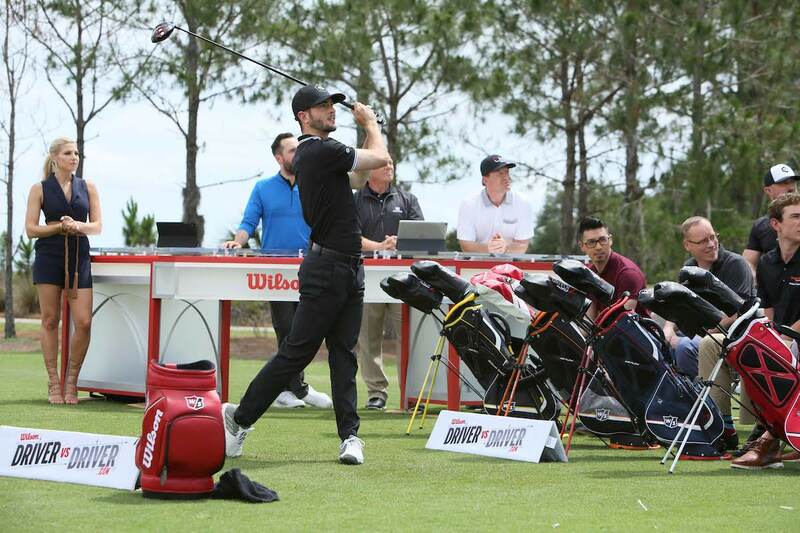 Starting tonight at 9 PM on the Golf Channel, Wilson Golf’s Driver vs. Driver 2 is about to get interesting. Driver vs. Driver 2 debuted a month ago with 13 contestants and their driver designs. That list has since been whittled down to just four: Cortex, Magnus, Roswell, and Launch Pad. Tonight’s episode takes on a unique MyGolfSpy-focused tilt, as MGS owner/sensei Adam Beach and MGS Director of Testing Sam Robinson will be featured judges as they test, critique and give their #Datacratic take on the the final four. And if you tune in, there’ll be a little something-something in it for you (A Year’s Supply Of Wilson Golf Balls). Starting tonight (Golf Channel, 9 PM Eastern), and running through the November 13th finale of Driver vs. Driver 2, MyGolfSpy and Wilson Staff are offering you chances to win some pretty cool stuff, including the winning driver itself. All you have to do is watch. So it’s watch, listen and respond. And what do we have as prizes? The Episode 5 winner will receive a year’s supply (6 dozen) Wilson Staff golf balls, the Episode 6 winner gets a customized, stamped Wilson Staff PMP wedge and for the finale, Episode 7, the winner will receive the winning driver from Driver vs. Driver 2. This contest is open to anyone in the US or Canada who watches the last three episodes of Driver Vs. Driver 2. With which two drivers did Adam achieve the highest smash factor results? Which driver did Sam say the younger generation would be likely to pick up off the rack? Nail those two, and you could wind up with a year’s supply of Wilson Golf Balls. 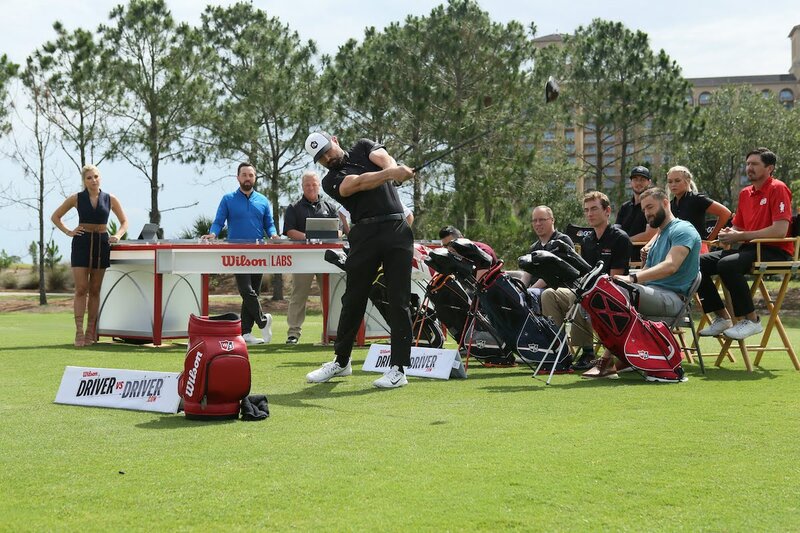 Remember, you’ll have to watch tonight’s episode of Driver vs. Driver 2 to find the answers, and to get a close up look at how GolfSpies test and evaluate golf equipment. As always, it’s #datacratic. what are the questions for episode 6? Sam says the Rozwell is for the kiddos. Adam: Smash Factor = Magnus and Cortex. Sam: Rozwell for younger folks. Sam – Rozwell Kids will gravitate towards this one. Adam’s smash factor with Magnus and Cortex. Sam says Rozwell for younger folks. Adam’s smash factor was 1.49 with Magnus and Cortex. Adams highest smash factor was 1.49 with both the Magnus and the Cortex. Adam’s smash factor was highest (1.49) for both the Cortex and Magnus. Sam said the younger generation would likely pick up the Roswell. 2. Sam said the Rozwell would appeal to younger players. Adam smashed the Cortex & Magnus for the highest smash factor. Sam picked the Roswell for the youth generation. Adam – 1.49 smash factor with Cortex and Magnus. 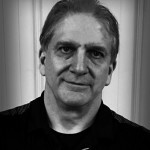 Sam – Liked Roswell for younger players. Sam felt the Rozwell will get the attention of the younger generation. 2) Sam said the Roswell would appeal to younger players. 1) Adams smash factor with the Magnus and Cortex was best. 2) Sam picked the Roswell for the younger players. Rozwell was the driver that Sam thinks young people would pick up off the rack. 1) Adam had the highest Smash Factor with the Magnus and Cortex. 2) Sam said the Roswell would get oicked up by the younger players. Adams smash factor was the best with the Cortex and Magnus drivers. Sam thought the Roswell would appeal to younger golfers because of it’s unique Z-track, looks and shaping. different from the rest of the drivers available. Great show, met Rick Shiels. He is a top bloke. Adam- greatest smash factor with Magnus and Cortex! Sam- said younger players will pick up the Rozwell. Love the show! Great technologies and guest testers! Anybody else as curious as I am about the “unconventional” shape of the Magnus? They can’t stop talking about it but never seem to show it. Is it a marketing tease? See what happens when I do really important stuff while I’m at work? I agree. I am very curious. Maybe it looks similar to the Wilson Invex. Remember how they looked? Adam- highest smash factor with Magnus and Cortex! Sam- said younger generation will pick up the Rozwell. Great show! Love the technology and tweaks, and love the guest testers like Adam and Sam! Good Show. Glad you guys were part of it. Adam: Magnus and Cortex for smash factor. Sam Rozwell for younger players. I’ve watched each episode, and this was the first one that actually held my interest for the entire hour. Sam said the younger generation would gravitate towards the Roswell . I’ve seen bits and pieces of the competition previously. Last night I was able to sit and watch the whole episode. My Golf Spys involvement piqued my interest. My observation was that the smash factor didn’t necessarily equate to best performance. Second, all the clubs perfomed similarly. Third, while the Magnus garnered the most negative comments, its performance was consistently strong. I enjoyed the show and while I came away feeling it was edited in such a way as to avoid too much in depth observation, that I came away feeling that marketing appeal might influence decisions as much or more than performance. That’s the antitheseis of Golf Spys mission. That said, I wanted to see more of the views from the top to see head shapes, refections and sounds at impact. The show was interesting but left a lot of questions unanswered..Dispersion and workability were only touched on and since distance appeared similar ( only Haley appeared to have a wide variance in distance) I expected to hear more about accuracy and performance on mishits mentioned more. The show succeeded in making me want to see more of the competition. I remember when the Triton came out, I was disappointed in the ungainly appearance and lackluster feel as well as performance when I hit it..Hopefully this years winner will look, sound and perform in a way that Wilson Staff would want a premium driver to perform. Adam smashed the Magnus and Cortex…. Sam liked the Roswell for the younger set. Great show so far! Adam achieved highest smash factors with the Cortex and Magnus. Sam said younger players would pick up the Rozwell. I’m really enjoying the quick technology tweaks and the guest testers! Great job Wilson Staff! Adam’s max Smash Factor 1.49 on both Cortex & Magnus entries. Sam said younger generation would be likely to pick Roswell up off the rack. Younger generation will pick off the rack the Roswell. Will this one be down to around a $100 in less then 2 years like the first Driver VS. Driver. Played with a guy Yesterday offered me his for $25…nice price, said I already have one in the garage sale bin at home hoping to get $15 for it..
Adam’s max Smash Factor 1.49 with Cortex & Magnus. Sam said that younger gen would be likely to pick up Roswell off the rack due tomorrow look. 1. Adam – Smash factor 1.49 on Cortex & Magnus. 2. Sam – Younger gen likely to pick up Roswell off the rack. Great job on tonight, I look forward to testing the winner! …Sam Robinson makes an early call stating that the Rozwell would be the driver most appealing to the younger crowd. ‘Nuff Respect to Jeremy Chell for stretching out his run to the final four and good luck in all future designs! EDIT: All apologies to Sam who also had a 1.49 smash. I don’t have dvr rewind benefits. Sam – thought Roswell would be most appealing to younger buyers. Adam’s highest Smash Factor was 1.49 with the CORTEX & MAGNUS. Sam thought the younger generation would likely pick the ROZWELL off the rack. Really great idea for a contest. Great to see Adam and Sam on TV. Two highest smash factors for Adam @ 1.49. Sam said the younger generation would buy. Which two drivers did Adam achieve the highest smash factor results? Thanks guys!! I hadn’t been watching the show, but now it’s getting interesting!! Adam had his best smash factor of 1.49 with Cortex and Magnus. Sam said younger people would be likely to pick up the Rozwell off the rack. This is bitter sweet…….I congratulate you for the recognition you have established and you have every right to earn a living. But one side of me thinks this is or could be a tipping point. I have always found My Golf Spy, kind of lurking in the background, it was home grown, it was organic and yet very unique. Cool new products, secretly photographed way ahead of time and way out in front of the Marketing. My golf spy is trusted & many times, especially in the early years had the inside scoop. Tour Players that may be switching equipment. Players making 6 figures to play head to toe brand X only to have My golf spy uncover that they were playing Brand Y fairway would and ball. My hope this is not the beginning of the end, where My golf spy becomes a vehicle for marketing and social media by the manufacturers themselves. We already seeing purposely leaked photos from the manufactures for consumer feedback via social media & the web. Hopefully Im wrong but I have seen this play out before. Stay true to your grass roots, don’t forget the kitchen table that mapped all this out and got you where you are today. Your three points make the point of it being very unique. No worries bro, they’re ROOTED! Congrats dudes! How hard is it to stick to the NDA? Do the World Champion Boston Red Sox get any swag for closing in 5? If it went to seven this contest would have been extended to a rerun competition. MGS gettin Big Time props, I like Wilson just that much more for bringing in the #Datacratic fam! I think the Magnus is done after tonight. It is too much like the Triton to go any further. I think the Roswell could be the winner if they can get the performance and sound correct. But same can be said for the Cortex and Launchpad. It seemed like the LaunchPad had the best numbers in the last episode and if they feel confident the hood won’t pop off, It might be the surprise winner. But I feel that the Cortex and Roswell will be the two finalist. Agree. Those are my finalists too. Does MGS normally test with hot women in heels watching them? This is awesome. Wilson has been a great company for a long time and it is good to see them still pushing ahead. I played alot of sports with Wilson equipment growing up and they always gave you a good value for your money. So when I started playing golf my fist irons were some Wilson Gear effect, and I also used Wilson Staff golf balls which had the best wind play at the time because of their truncated dimple design. I watch the show already so it’s great we have a chance to win something too. I would definitely put Wilson balls in my bag next year if i won. Glad to see they are embracing the Web community and the reviewers we know and trust like MGS and Rick Shields. First guess, let see what happens tonight. Adam best smash factor Cortex and Magnus.